Monrovia – Representative Thomas Fallah of District #5 Montserrado County (Coalition for Democratic Change) has given an ultimatum to Representative Yekeh Kolubah of District #10, to retract comments of threats he allegedly made against the government while declaring his intention to join the three collaborating opposition political parties Sunday, April 14. Fallah has vowed to lobby with his other colleagues to ensure that Rep. Kolubah be expelled from the Legislature if he (Kolubah) doesn’t show remorse for his comments and “insults” against the leadership of the country. According to Fallah, his colleague lawmaker should be making policy-driven comments instead of using invective. “Yekeh will be called and subjected to probe. Any attempt for him not to abide, he will be suspended and expelled from the Legislature. He will be considered a former representative in the next couple of days in keeping with Rule 43 of the House of Representatives. 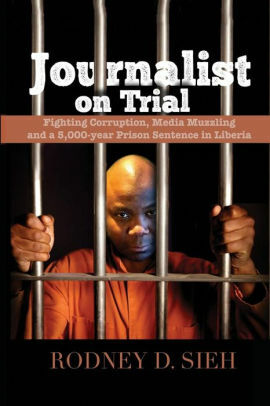 Fallah claimed, without showing prove, that Kolubah had allegedly threatened to in 90 days bring down the leadership of President George Weah. On Monday, April 15, Montserrado County Attorney Cllr. Edwin Kla Martin invited Rep. Kolubah to appear before him on Tuesday, April 16, 2019, at 12:30 p.m. for questioning over his alleged statements. When contacted, Rep. Kolubah said he cannot subject himself to Cllr. Martin for any investigation. “If that County Attorney is under the influence of drugs, I am an elected representative of my people not appointed as the County Attorney; therefore, I cannot submit myself to him,” Rep. Kolubah vowed. Fallah, who chairs the House of Representatives’ Committee on Ways, Means and Finance, has also sent out an open challenge to three opposition leaders: Cllr. Charles Walker Brumskine, Liberty Party (LP), Mr. Alexander B. Cummings, Alternative National Congress (ANC) and Mr. Benoni W. Urey, All Liberian Party (ALP) that he can win them in any given election. He also told these influential gentlemen that President George Weah is not their peer.